I had the pleasure of being in Toronto recently, a remarkable place in an even more impressive country. I also had the honor of being in the presence of a couple hundred communicators at the World Public Relations Forum. The topic of the forum, which I’ll write more about in due course, was culture and communications. Being from Dubai and covering the MENA region, there was one particular presentation which caught my eye. The topic was the state of the PR Industry in South Africa – key trends shaping business communications. Undertaken by Daniel Munslow, Principal Consultant at recruiters VMA Group, with support from the Public Relations Institute of Southern Africa and the International Association of Business Communicators, the research covered a range of issues, from employment trends, recruitment and outsourcing, to skills development and training, key business challenges, digital media and future proofing. Over 386 communicators from 251 organizations took part in the survey, the majority of them from South Africa, but with responses from Ghana, Kenya and Nigeria. So, what are the learnings? The communications industry, particularly in South Africa is facing a number of headwinds, including both economic and political pressures. Here are the financial highlights from the executive summary. • Downward pressure on budgets has overtaken skills shortages as the number one concern for communicators. In 2015, 22% said budget was a key challenge for business over the next 12 months, this number has increased to 58%. What impact will this have on agencies, especially those who are regionally headquartered in Dubai and who have taken a bet on the African market outgrowing the Middle East this year? 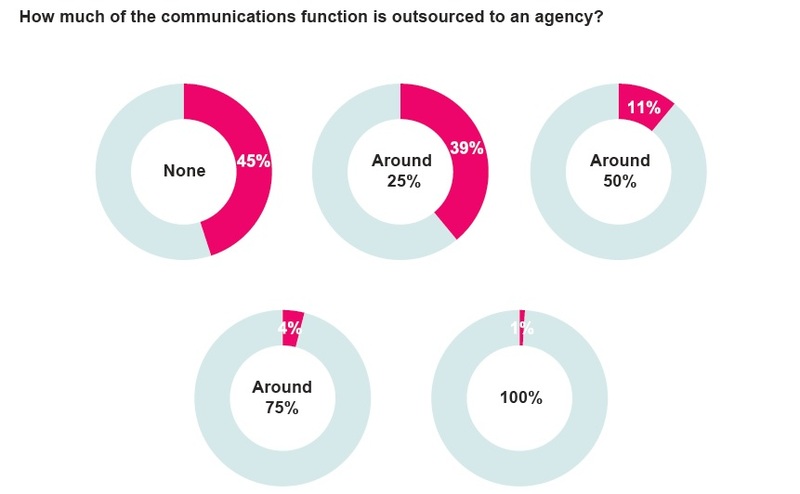 Over three-quarters of in-house communicators outsource 25 percent or less of their communications activities to agencies. While budgetary pressures may limit the demand for agency services in the short term, will Africa follow other regions and embrace outsourcing to communications agencies? It’s also apparent that African communicators are not only having to deal with financial pressures, but a host of business and organizational issues which are making their jobs much harder. Partly due to the ubiquity of digital, audiences are becoming ever more fragmented. And communicators are also worried about the ability of their leadership to communicate, both internally and externally. There’s a lack of African talent and a need for communicators to skill-up (interestingly, career development is the number one reason people leave their jobs. Remuneration is rated the third reason only). And, as organizations are getting larger, they’re also becoming more complex which is impacting the ability of communicators to engage internally. There are reasons to be optimistic, particularly when considering the seniority of communicators in South Africa. Forty-five percent of those surveyed responded that they reported into the CEO or MD of their organization. It’s unsurprising that digital is playing a major role in how communicators in South Africa engage with others. Facebook is the most popular channel, followed by Twitter and LinkedIn. Only 17 percent of social media communications is outsourced, with corporations instead preferring in-house resources (for now at least). However, there are still major barriers including a lack of understanding regarding a return on investment, a lack of time and a fear that something inappropriate may be said online. Despite all the challenges that African communicators face in today’s troubled economic and political environment, there’s a strong belief among those surveyed that the industry will continue to go from strength to strength. Ninety-one percent of respondents strongly agreed or agreed that the influence exerted by the communications function will increase over the next two years. 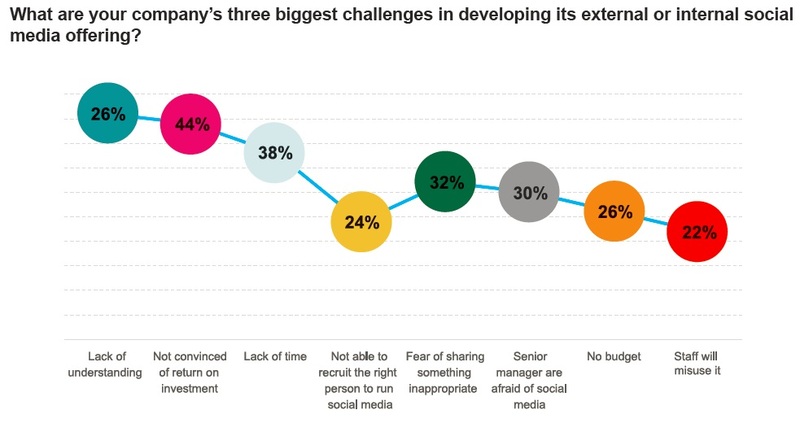 Additionally, 64 percent of the communications functions surveyed are involved in projects from the get-go, rather than further down the development stage when reputation issues arise. There’s no doubt that Africa represents an exciting market for the communications industry in the medium to long-term. However, short-term issues will need to be tackled, especially a lack of talent and a skills shortage.